This project might not be for everyone, but, if you’re tight like me (Alan, are you paying attention? ), it will be right up your alley. We live on the Mississippi Gulf Coast. For the purpose of this article, the key word is “Coast.” Think “flat.” When we get rain, there is nowhere for it to go, because we’re already near sea level. As a result, we frequently experience flooding in the yard between my garage at work and the back door of the clinic, requiring me to wear knee-high rubber boots to navigate the trail. When I get inside, I have to take off my boots for work, so I can either carry my dress shoes, along with all of the other paraphernalia I tote in, or I can keep a pair of “emergency” shoes indoors. For years, maybe decades, I’ve had a pair of black Reeboks under my desk for such emergencies. Because they don’t get used much, and I never wear them outside the clinic, they still look much like the day I bought them. That is, they did, until one day I put them on and realized the sole of the right one had become unattached from the upper. I flopped around the hospital the rest of the day, vowing to figure out a way to save these otherwise perfectly good shoes. 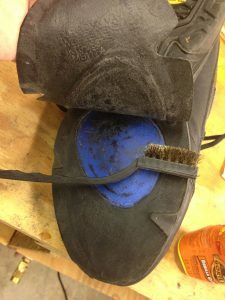 A bronze-bristled wire brush made short work of cleaning the sole and upper mating surfaces. Some dry-fitting allowed me to see where the spring clamps needed to be in order to put the flexible sole in perfect contact with the upper. Then, it was just a matter of wetting one side, applying Gorilla Glue to the other, and, voila! With clamp placement already worked out, it was a simple matter to position clamps accurately after applying glue. Clearly, I couldn’t see patients in these shoes anymore, but they cleaned up nicely with a rasp and wire wheel, followed by some Magic Marker to paint the Gorilla Glue black. Well, it was voila! for a while. 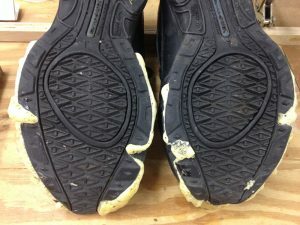 A few weeks later, the back half of the sole came loose. The challenges were different here. 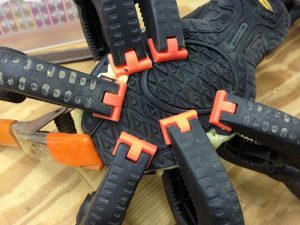 In the front, clamp position is easy and the sole is thin and flexible. In the back, the upper and the sole both become thicker and less flexible. Some edges simply were not going to lie down where they belonged. Enter screw gun and drywall screws. 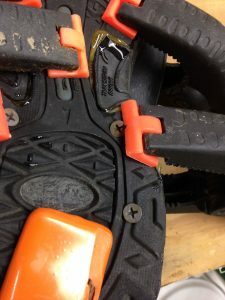 That thick, thick upper allowed the screws deep purchase and made perfect positioning of the sole possible. The steps were: 1, apply glue. 2, drive the drywall screws through the sole, holding in the upper. 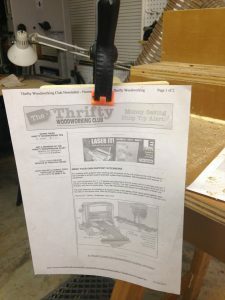 3, apply spring clamps to hold down edges for a good final appearance. 4, wait. There isn’t a better paper clip in the world for holding your building plans. What else will they hold? 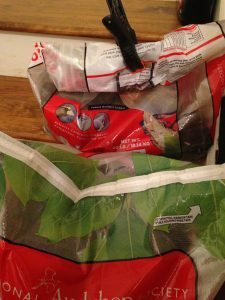 Any sort of bag, like these bags containing black oil sunflower bird seed. 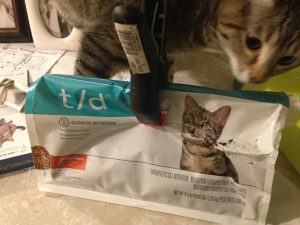 They’re good for pet food bags, too, but they won’t keep the kitty from chewing holes in the bag if you forget to put it back on its high shelf. Talk about cheap: I bought these at the jot-em-down store, a dozen in a mesh bag for a few bucks. I’ve had them for 40 years. They were flooded in Katrina and still work fine. 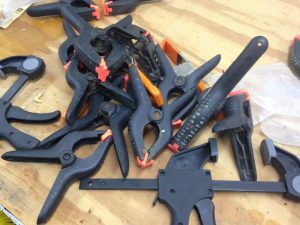 Spring Clamps – Tips from Sticks in the Mud – June 2018 – Tip #1 June Woodworking Poll: Do You Have Air Conditioning In Your Shop?